3 Morten performs some of his new solo work at a new year party for the Norwegian company "Statoil" at Olavshallen in Trondheim. He is the surprise guest at the party and is accompanied by Kjetil Bjerkestrand on piano and TrondheimSolistene. 4 The local German radio station "Berlin Radio 1 RBB" broadcasts 9 songs from the concert a-ha held in Berlin on 31 August. 9 Magne attends a concert by "Harrys Gym" at the Bylarm festival in Trondheim. Magne co-produced their album which was recorded at the Kensaltown studios in London. 11 A new series "Gudene Vet" premieres on TV2. The six part series focuses on religious issues and Morten Harker will be a guest on one of the episodes. 1 The Swedish jewellery designer Efva Attling opens a new store in Oslo. Morten is one of the celebrities to attend the opening. 3 The Norwegian TV show "God Kveld Norge" (TV2) reports about the new jewellery shop in Oslo and Morten's attendance. 4 Magne launches a new website (http://www.magnef.org) relating to his art projects. 10-1 April Magne exhibits some of his new artwork at Trafo Gallery Asker, Norway under the title "Monologues". Morten attends the opening of Magne's exhibition in Asker. 11 Morten is a guest on the Norwegian TV show "Gudene Vet" (TV2). 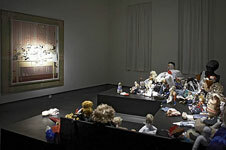 16-14 April Magne's exhibition "Monologues" is held at the Paul Stolper Gallery in London. 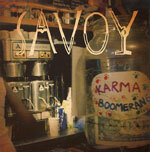 13 Savoy's new single "Karma Boomerang" is released to radio and for download. 30 Norwegian artist Ravi talks about "Take On Me" on the TV show "Landeplage" (NRK1). The show features some interview clips with Morten Harket. 8	Savoy are interviewed on the radio show "SAAB" (Kanal 24). 12	Magne attends the opening of a new exhibition at Galleri Trafo. The artists exhibitingare Sir Peter Blake, Gavin Turk, Heidi Wexelsen Goksøyr and Reider M. Kraugerud. Paul and Lauren are featured in VG's weekend magazine "VG Helg". 13	Magne and Heidi attend the opening of some new art exhibitions at the Kistefos Museum. The exhibitions include work by Tony Cragg and Petroc Sesti. 14	"Karma Boomerang" enters the Norwegian Hit 40 radio chart at number 29 and remains in the chart for just one week. 16	Savoy appear on the Norwegian TV show "Lydverket" (NRK1). 10-17	Magne exhibits some of his Monologues artwork at Printbasel, Basel, Switzerland. 11	Morten attended the release party for Amnesty's "Make Some Noise" album at the Hard Rock Cafe in Oslo. He appeared there with Elvira Nikolaisen who also contributes a cover version to the campaign. 21	Morten attends Universal Norway's annual garden party in Oslo. 25	Amnesty International's compilation album "Make Some Noise" is released internationally and features a-ha's cover version of John Lennon cover "#9 Dream". In the UK, USA and Canada, the album has the full title "Instant Karma: The Campaign to Save Darfur" and elsewhere it has the title "Make Some Noise: The Campaign to Save Darfur". 19	Paul attends the funeral of Robert Burås, guitarist from Norwegian band Madrugada, in Oslo. 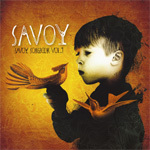 6	Savoy release their album "Savoy Songbook Vol. 1" in Norway. The album is promoted on TV2 throughout August. 7	An interview with Savoy is published online by the Norwegian newspaper "Aftenposten". 8	Paul and Lauren are guests on "Oslo TV". 9	Paul and Lauren are interviewed on the radio shows "P3morgen", "SAAB" and "P4 sommer" and they do a VG online chat. 12	Harket Mannssanggruppe (a group set up by Morten's father Reidar and other relatives, Morten is one of 8 Harkets in the band) perform Christian songs in front of an audience of 500 people at a Christian fundraising event in Vennesla, Norway. 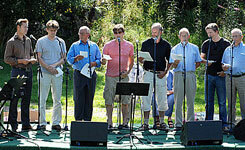 Money from the event goes to a Norwegian mission hospital in Tanzania called Haydom. 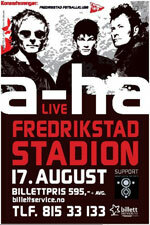 17	Fredrikstad Stadium, Fredrikstad, Norway (approx. 7500).The setlist is similar to the 2006 gigs, but features the cover version of the Lenon track "#9 Dream". Setlist: I've Been Losing You, Stay On These Roads, Minor Earth | Major Sky, Scoundrel Days, I Call Your Name, Move To Memphis, Cosy Prisons, Keeper Of The Flame, #9 Dream, Lamb To The Slaughter, Hunting High And Low, Take On Me, Crying In The Rain, Summer Moved On, The Living Daylights plus encore: Analogue, The Sun Always Shines On TV, Dark Is The Night. 23	Lauren and Frode start recording a new Savoy album in Bergen with producer Bjørn Ivar Tysse. Paul is involved with the process, but from a distance as he is busy with a-ha. 24 - 1 September	The international Nordic Light photo festival takes place in Kristiansund. Rolf M. Aagaard (photographer with the newspaper Aftenposten) is one of the 25 photographers exhibiting. One of his photos is a portrait of Magne, taken in Sweden earlier in the year while Magne was working on his Monologues prints. 25	Døgnvill Festival, Alfheim Stadium, Tromsø, Norway (approx. 12000). Other artists performing before a-ha include Washington, Lionheart Brothers, Timbuktu & Damn!, Lene Marlin and Brett Anderson. The set list is the same as Fredrikstad. After the show, Morten and Paul attend a VIP-nachspiel where they speak to the press (e.g. Nordlys). 30	Punkt Festival, Kick Scene, Kristiansand, Norway. Magne's performs 6 songs (All The Time / Nothing Here To Hold You / Past Perfect Future Tense / Running Out Of Reasons / Dot Of Blackness and Kryptonite) with his own project band (Jonny Sjo (bass), Karl Wennerberg (drums), Jan Martin Vågen and Ronald Andersen (scenography). The concert is in connection with the Motion conference and Punkt Music Festival and is only open to conference attendees. At the festival, Magne also exhibits around 100 "Mags-dolls" under the title "Mange Furuholmen" (many Furuholmen) sent to him by fans (requested by Magne via MySpace), they are set out on a table in front of Leonard Rickhard's painting "Trett modellflybygger II" (Tired model airplane builder II) and accompanied by voice-overs by Magne. The exhibition takes place at Sørlandet's Art Museum and Magne is one of 13 composers / artists exhibiting. 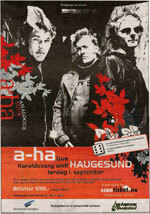 a-ha do a press conference and go out for a meal at the Åndenes Hus in Haugesund the day before the concert there. 15	Harbour, Kiel, Germany. This is a free concert celebrating the Christening of the Color Line ship "Color Magic". The concert takes place at 16:00 on a floating stage. The German TV Channel "N3" broadcasts the Ceremony of the ship including interviews with fans, and clips from the live show. 13	Magne's Payne's Gray print "Everybody" is up for auction to benefit the Kirkens Bymisjon (The church City Mission). 16	Morten and Magne are at the London BMI Awards, Dorchester Hotel where a-ha receive a multi-million performance award for "Take On Me". This track has been played more than three million times on the US airwaves. 1-4	Some of Magne's prints are exhibited at the E|AB Fair 2007 at The Tunnel, New York. Magne's prints are available to view in a portfolio case as part of Paul Stolper's display. 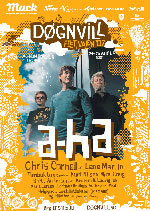 16	An "a-ha tribute idol" programme is broadcast on Norway's TV2. The show features clips of Morten working with the contestants and he performs "Movies" at the end of the show. 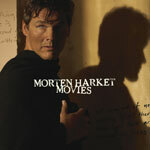 Morten Harket's single "Movies" has its radio premiere and is released as a one track single in Norway. This song is a modified cover version of the Locomotives song "My Woman". 19	Morten performs at the invite only StatoilHydro's autumn concert at Det Norske Teatret in Oslo. 30	Morten is guest on the Norwegian talkshow "Senkveld" (TV2). 11	Morten performs "Letter From Egypt" and "Movies" at the Nobel Peace Concert in Oslo. Also at the Nobel Prize Awards, Magne's aluminum sculpture "Climax" is unveiled by award winners Al Gore and Rajendra Kumar Pachauri. 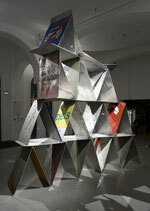 The sculpture was commissioned by Hydro and uses the concept of house of cards (4m high), using materials from old planes, tankers and traffic signs. "Climax" will be on display in the Nobel Peace Center in Oslo until the Spring. To coincide with the "Climax" sculpture, Magne releases his new project "Climax Cardgame", a set of 15 laser-engraved aluminium elox playing cards (174mm x 125mm x 1.5mm) engraved with text on one side and images on the other.